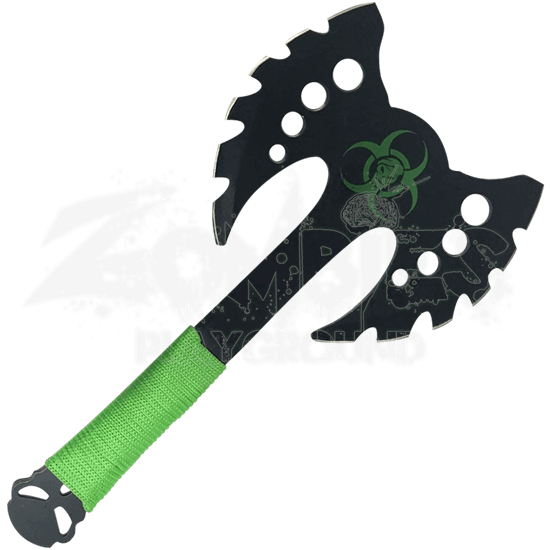 Raise your zombie slaying morale with the Sinister Double Edge Zombie Slayer Axe. This battle axe was made to rip apart undead heads. 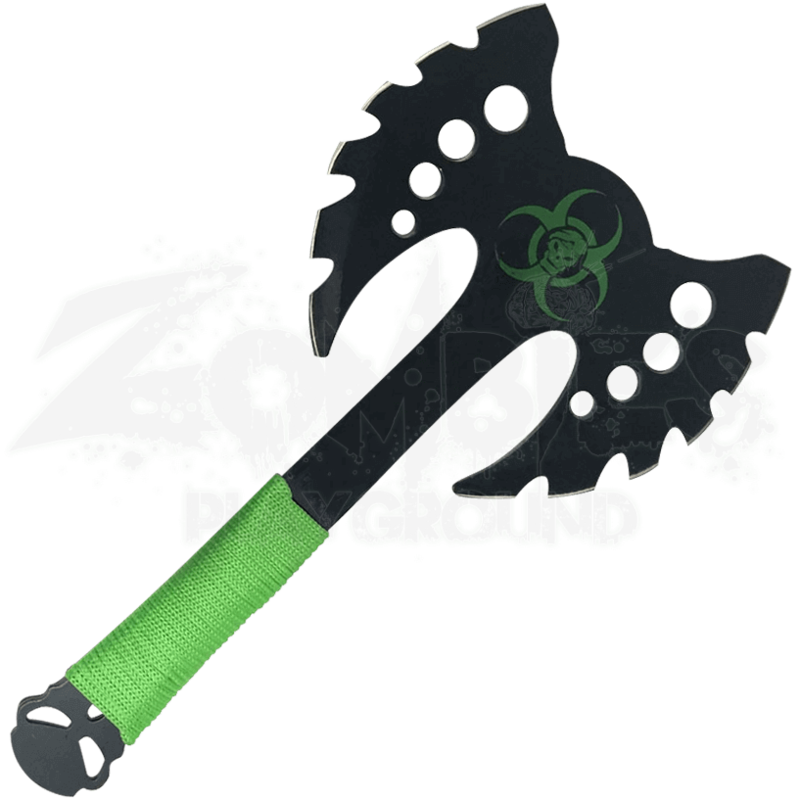 Use this serrated double bladed weapon to lash out quickly against multiple zombies. Show your sinister side while wielding this gruesome zombie weapon. Serrated blades are fearful enough, but the biohazard emblem gives the universal sign of warning. Enjoy the comfortable, firm grip of the green-corded handle while fighting your way through a tight spot. Take note of the skull glaring in sinister silence as a reminder - do not mess with this zombie survivalist.